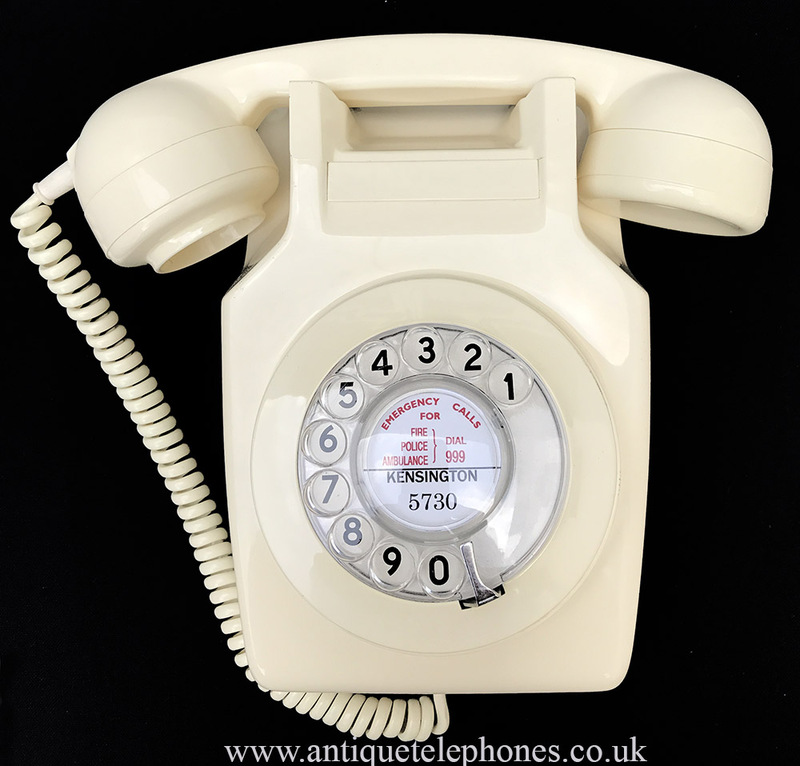 << Back Ivory GPO 741 with clear dial and numbers. Ivory GPO 741 with clear dial and numbers. 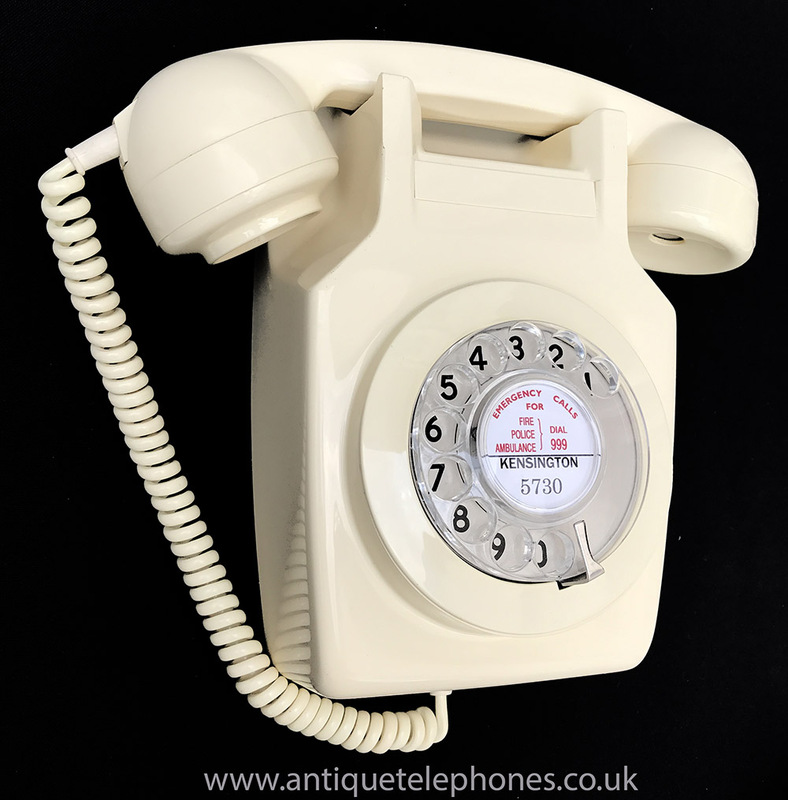 This is a GPO 741 wall mounted telephone. This has been stripped down and rebuilt after each part has been cleaned and polished. All the internals and dial are genuine period parts and this one has a clear dial and figure back plate. It has the wall mounting bracket included and is fully working and ready to plug in and go. 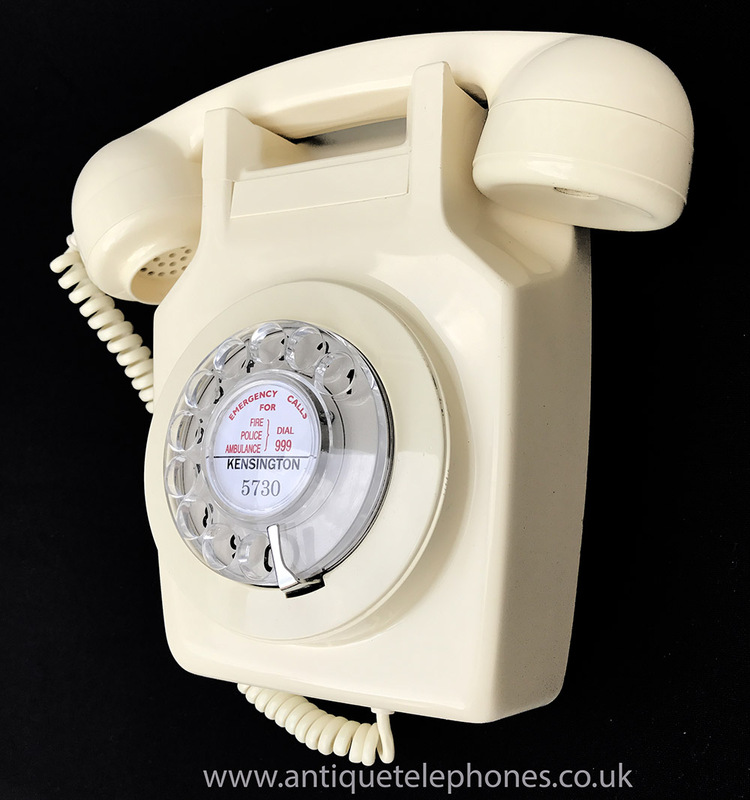 These are not a common telephone and so get this one while you can. I can make a dial label with your information at no extra charge.